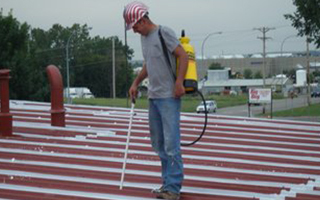 Choice Roof Contractors provide only quality commercial roofing services with the highly praised Conklin roofing systems. Our national network of professionals has been factory-trained by the Conkin company for all their product lines and is supported by the Choice Roof Contractor Group™ to properly install the best solutions and provide skilled commercial roof repair services. We work diligently to save you money and time with customer service that you’ll notice and appreciate from the first moment you contact us! 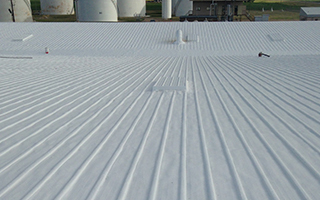 Collectively the local commercial roofing companies in our network are able to provide a full spectrum of roofing services – from roof maintenance and leak detection repair to complete roof restoration and total replacement. Backed by 35 years of Conklin expertise, you can trust our nationwide alliance of contractors to meet all your individual needs with care, promptness, and efficiency. Your needs and time are our first and foremost priorities. The experts at Choice Roof Contractor Group™ know that a commercial building and the contents inside depend on a strong, leak-free roof. Since even small commercial roofing problems can be very costly if left unaddressed for any period of time, it’s best to contract an experienced pro to identify and take care of potential roof problems before expensive repairs are necessary. Business owners who have had their roofs replaced can speak of the painful, expensive commitment that a roof replacement entails. Here’s an alternative: huge savings on material and service-related costs with a much smaller completion time for top-quality roofing protection. We make it easy so you don’t have to compromise or settle for less. After all, who doesn’t want to save thousands of dollars while ensuring the protection of his or her commercial building for years to come? What Types of Roofing Systems Will This Work With? 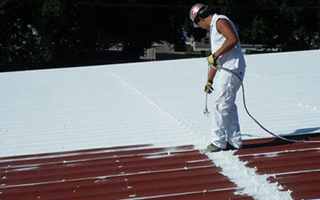 Our commercial roof restoration service will work with virtually any type of roof, including asphalt, metal, PVC, rubber, foam, built-up, ply system, and TPO. 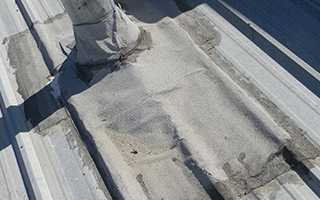 All of these roof types deteriorate over time. When they do, you’ll need commercial roof repair services. These services are not going to be free, and they will be a recurring headache unless you invest in a Conklin roof coating. These coatings will give you years of maintenance-free, leak-free, energy-saving service, guaranteed for up to 18 years! Those are the simple facts, and we are more than happy to share these great features with you and your business while doing a free on-site, no-obligation inspection. Still Not Convinced that Roof Restoration is the Right Choice? If you do the math, you’ll find replacing your metal roof is going to be very expensive. Here is an example. With a new roof replacement, you’ll be faced with tear-off costs. If your building is 50,000 square feet, then you’ll be facing just under $4,000.00 in tear-off costs. This does not include the cost of the new roof, labor charges, or landfill costs. All of these costs are avoided when you choose to restore your existing metal roof with our roofing solutions. 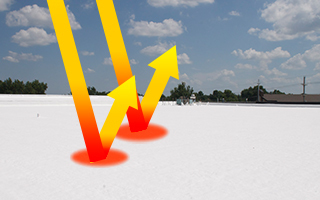 Our Conklin roof coatings have been proven to pay for themselves over time in energy savings alone by reflecting 85% of the suns solar rays from the roof. Cooling and heating costs plummet the moment the roofing system is applied. The new, attractive white “cool roof” keeps energy costs down, and today energy savings add up very quickly! Don’t even consider second-rate, short-term answers to your roofing needs.